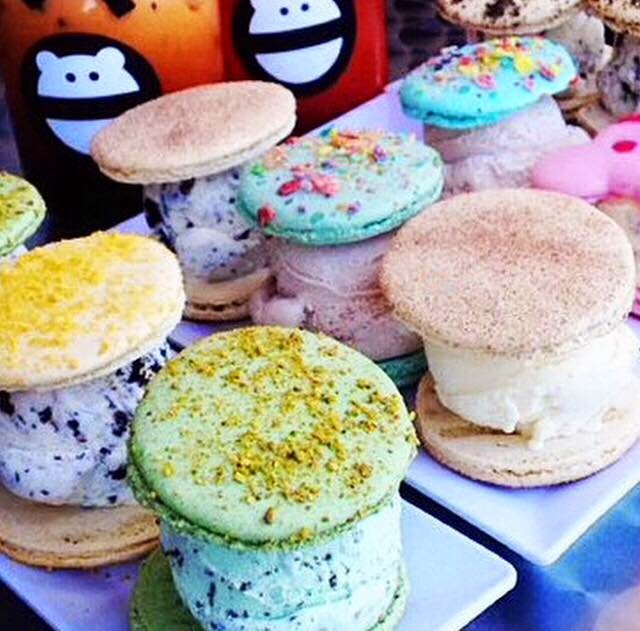 BOGO FREE MACARON ICE CREAM SANDWICHES THIS FRIDAY 12.12.14 @ SNOW MONSTER (IRVINE) - EAT WITH HOP! Anyways, UTC just keeps getting better and better, doesn't it? There's Eureka which serves fantastic burgers and even a Mendocino Farms coming soon! Y'all have more lunch options now, Anteaters! More than I had in the past (Wendy's was my bff for lunch back then). Get your BUY ONE GET ONE FREE MACARON ICE CREAM SANDWICHES at Snow Monster this Friday, 12/12/14, starting at 11am until they run out! I'm not sure what time the store closes but probably around midnight (don't quote me on this). ***At the University Town Center across from UCI (University of Irvine, California). NEW TO SNOW MONSTER? It's original location is in Westminster (Bolsa Ave.) and it's popularity exploded with the ever so popular and hip (take home) Mason Jar with the cute Snow Monster logo sticker on it. It since has expanded to Huntington Beach this recent summer (2014) and now to Irvine at UTC! They are known for their popular customizable macaron / cookie ice cream sandwiches that are freshly baked too! As for their drinks, I personally love their Thai Tea and Jasmine Tea! So, there's no way you can go wrong with their menu selection! 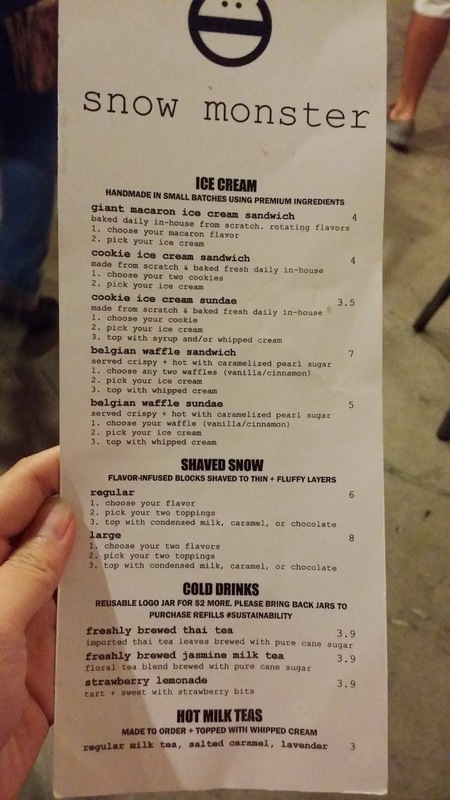 SO BASICALLY $2 EACH FOR A MACARON ICE CREAM SANDWICH SINCE ITS BOGO FREE?! WHAT A STEAL!